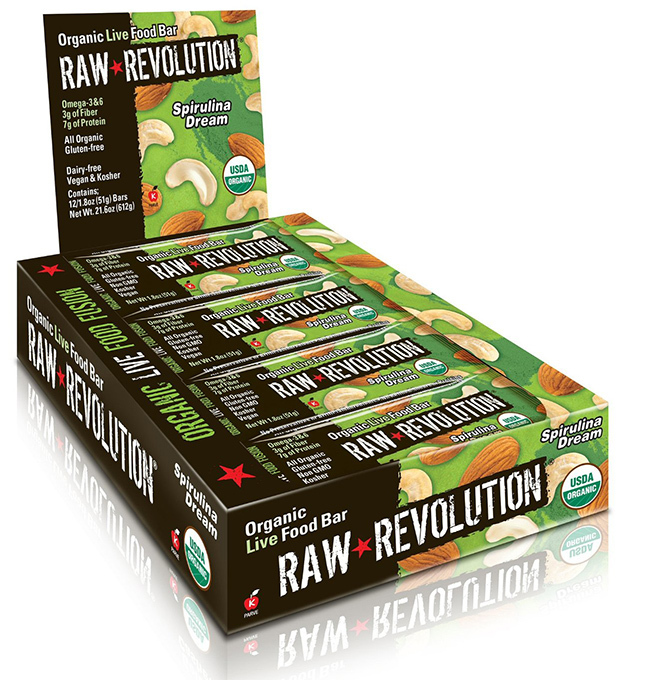 When we talk about raw organic energy and protein bars of all varieties and magnificent flavors, Raw Revolution is the brand that would hardly be beaten by competition companies. Raw Revolution was started in 2004 in the home kitchen of Alice Benedetto. Her plan was to give to her kids a really healthy snack that tasted good. Alice’s scrumptious natural snacks were eventually fed to all her family and friends, then sold in small batches through local stores, situated in the area where she lived. Her first batches were sold very quickly, and she realized she needed to expand her activity by developing more taste combinations and new flavors. Alice’s husband Dave searched factories for used equipment and managed to acquire everything necessary for a production line. A decade later, Dave and Alice are producing millions of Raw Revolution bars per year, prepared in the couple’s family owned factory near New York City. A lot has changed since 2004, but the great taste and high quality, fresh ingredients are a fixed rule.